Revengeofthe5th.net: How Did We Not Know Hera Was Pregnant in Star Wars Rebels: Season Four? How Did We Not Know Hera Was Pregnant in Star Wars Rebels: Season Four? In a montage of the Ghost crew, revealing their fates after the Battle of Endor, we learned that Hera was still flying around the galaxy as ace pilot with Chopper at her side, but they weren't alone. Sitting in the co-pilot's seat was her young son, Jacen, who was clearly half-human. Hera and Kanan had a kid! 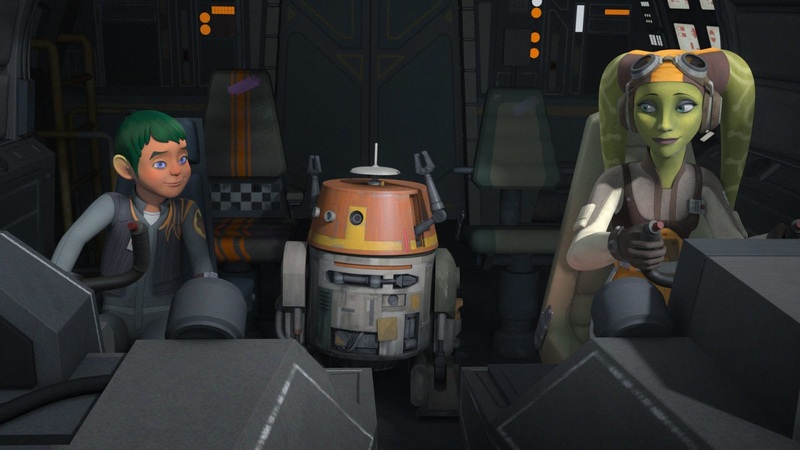 You probably began to wonder how Star Wars Rebels managed to keep Hera's pregnancy under wraps, given that she would have been pregnant during all the adventures of the finale arc. "There are little clues that I would talk to the animation supervisor and I would say, 'We'll do this and just have her put her hand here on her stomach at this certain moment,' or just little tiny things." Read more at Cinema Blend.